Neurologists considering going solo have it harder than ever. This is especially true for residents and fellows who have just finished training. Saddled with debt after years of education, they're likely to need additional loans to meet start-up expenses. Without careful planning, precious resources may be wasted before the first patient is even seen. But with the right strategy, and a touch of an entrepreneurial spirit, the foundation can be set for a rewarding professional career. Whether you are just launching your career or have finally decided to strike out on your own, what can you do to be prepared? Once you have chosen a practice location, the first step you'll need to take is to get office space. Insurance companies need to have a business address on their applications, advises John P. Reiboldt, a manager at the health care consulting firm, the Coker Group (www.cokergroup.com). Some neurologists decide to purchase, rather than rent, space right away. With the help of a commercial realtor, Austin, TX, neurologist Jennifer York, MD, found a medical condo, which she renovated. After interviewing several bankers, she ultimately chose one bank for a loan for the purchase and remodeling of the office building and a different, larger bank for an equipment loan, because they offered her a $100,000 unsecured operating line of credit. “Perhaps the worst thing about starting up was getting the prerequisites straight,” said Lynne A. Love, MD, who opened a solo practice in Santa Rosa, CA, a few months ago. She had hoped to defer the expense of malpractice insurance while signing up for managed care plans, fearing that it would be too costly. She soon found out that malpractice coverage was needed for credentialing, and credentialing was needed to contract with insurers. Dr. Love now knows it can take 30 days or longer to underwrite medical liability policies. To her surprise, she discovered that physicians can receive certificates of insurance written for a future start date. Moreover, the first year of coverage is often offered at a markedly reduced rate — hers was less that $100 per month. Dr. Love quickly became frustrated trying to enroll in PacifiCare/United Health Care. 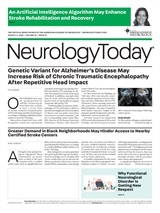 For weeks, she got voicemail, and found a direct credentialing number only after speaking with an inside contact provided by another neurologist. Like many physicians, she discovered that contracts can be treacherous. One company's document claimed that she was responsible for paying any neurologist who cross-covered for her. In another contract, she was asked to agree to provide care to members if the company became insolvent, extending through the period that member premiums had been paid. Fortunately, she received sound legal advice as a member benefit of her county medical society. Dr. York thought it would be easy to sign on with insurance plans because she was already on their panels when she left a group practice in 2004 to start out on her own. All she needed to do was inform them of the change in her tax ID number and practice name, but it took several months. “This delayed payments at a time when the practice needed it most,” she said. A weeklong health care finance course helped Dr. York realize that when a physician retires, as did the senior neurologist in her group, the practice itself has little value. She immediately decided to go out on her own. She took AAN practice management courses and read books written by the AMA press. Coker Group's Reiboldt, a contributing author to Starting a Medical Practice, Second Edition (AMA Press, 2004), advises all physicians who own their own business to understand the operations of their practice management and accounting systems. Often too much reliance on a single employee has led to fraud and abuse, he said. When Celina Tolge, MD, left a multispecialty group to go out on her own in 2005, her husband, Jay A. Gorham, Jr., became her business manager. He took the two-day course “New Practice Start-up and Development” at the American Academy of Medical Management (www.epracticemanagement.org) and turned to the Coker Group for resources and consulting services. “They guided me through the entire process of opening a practice step-by-step — a process they advised would take nine months,” said Gorham. The firm helped him negotiate purchases and leases, meet regulatory demands, become fully computerized, and get credentialed by insurers. “Get as much assistance as you can afford from qualified people,” said Fabrizio. Doing things correctly from the start can save you from trouble later, he reflected. That includes calling on people who you trust for advice; finding a good local commercial realtor and bankers; as well as attorneys who can help with the articles of incorporation and ensuring that you comply with state and federal laws. A bookkeeper can help with the initial setup of accounts on QuickBooks. Seek out a payroll service such as Automatic Data Processing, and get recommendations for a financial advisor to help set up a 401K plan. A SWOT analysis — identifying strengths, weaknesses, opportunities, and threats — can help a business identify what it does well, how it can improve, whether it's making the most of available opportunities, and whether changes in the market may require operational changes. It can help a practice get launched successfully or steer neurologists toward other solutions. When Middletown, CT, neurologist Christopher Gottschalk, MD, was placed in charge of a practice after a senior neurologist retired and another relocated, he knew he had to make some changes. The old system was not working; the practice management system was antiquated, many of the business tasks were still performed manually, and staffing responsibilities were poorly delegated. Dr. Gottschalk took practice management courses at the AAN annual meeting, looked into the MGMA physician executive program, and identified resources to help him begin the labor-intensive process of restructuring. “The more I looked into it, the less sense it made,” he said. Neurologists who offer distinctive skills may be able to consider alternatives to current practice models. After Michael J. A. Robb, MD, completed his fellowship in medical neuro-otology at the Barrow Neurological Institute in 2003, he decided to set up a solo private practice in Phoenix, AZ. “I did not want to see patients quickly in order to keep up with overhead and compensate for debt incurred by start-up expenses,” he said, explaining that hearing, balance, and tinnitus patients can often take up to two hours to evaluate properly. So he decided not to enter into insurance contracts. Dr. Robb found numerous resources — instructions on how to officially “opt-out” of Medicare, sample patient letters, and start-up guides — at the Association of American Physicians and Surgeons (www.aapsonline.org). Without insurance headaches, he has been able to devote more time to patients and to teaching and research. “Since I have to earn every patient the hard way, it has taken me three years longer to reach the median income for neurologists, but I get to run my practice the way I want. Patient response to the simple practice model has been overwhelmingly positive.” Although Dr. Robb admits that he offers a unique service to his community as one of only 40 medical neuro-otologists in the US, he believes that any neurologist would find the independence rewarding. Neurology Today7(7):15-16, April 3, 2007. News from the MDS International Conference: It's A Matter of Debate: If Synucleopathies Look and Act Like Prion Disease, Are They Really Prion Disease?